they and are now quite different from the paperback version. the 20 chapters of the multimedia web book: this contains hyperlinks to external resources, embedded images, videos and documents, interactive surveys, as well as downloadable resources (like charts and templates). 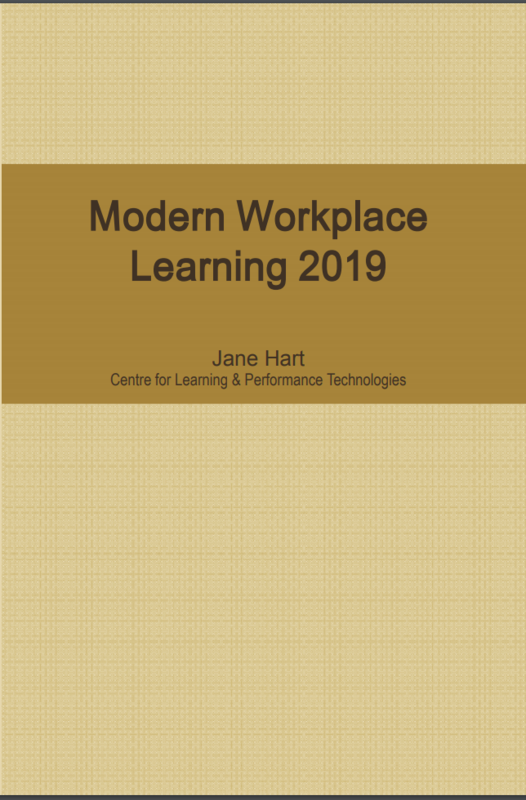 The web book will be continuously updated during 2019.
membership of the MWL Community to keep up to date with news and for discussion around modern workplace learning. It includes daily curated resources on lifelong and continuous learning. The community is powered by Slack. You can join once you have logged into the website..
was published on 4 January 2019. Black and white with a few (black and white) diagrams. URLs to external resources provided in Chapter endnotes. No updates to the online resource since publication date appear in this book. The book is printed on demand and sent to your address; there are a number of delivery options. 3% for 15-29 copies, 8% for 30-59 copies, 10% for 60-119 copies, 15% for 120-299 copies, 20% for 300-599 copies, 23% for 600-1,199 copies, 25 for 1,200+ copies. If you are happy with a PayPal receipt, payment can be made by credit card or PayPal. Just click on the Buy Now button below and follow the payment instructions. This is the simplest and cheapest way to pay, and is best for those who can expense their purchase. If you want an invoice/VAT/receipt and/or want to pay by inter-bank transfer. Note: If payment requires us to be set up as a supplier in your system then this occurs an additional admin fee. are available: Please email Jane.Hart@C4LPT.co.uk with details of the group size for a quotation.